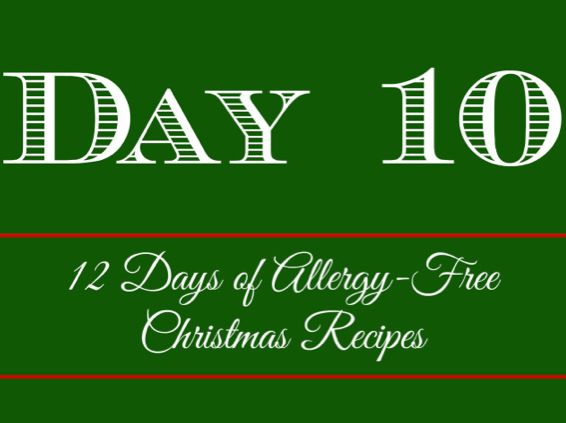 Madison’s 12 Days of Allergy-Free Christmas Recipe Roundup! When Madison first mentioned this idea, I was so excited to participate. 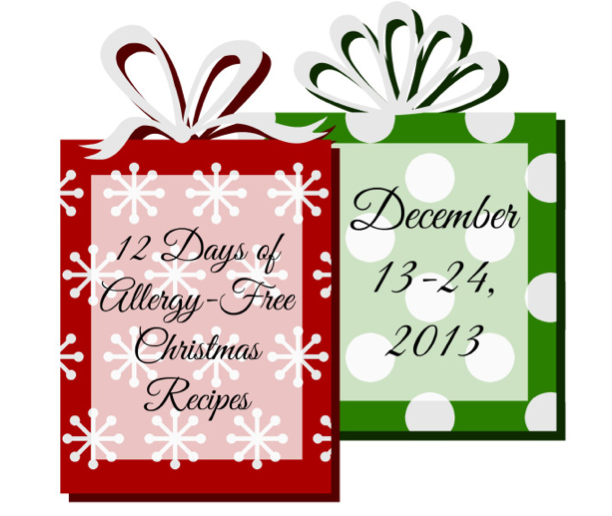 I love that there is such a huge niche for allergy-friendly recipes in the blogosphere. I’ll try and sum up what this whole to-do is about: I’ve chosen the “side-dish” category. Quinoa Spinach Mac and Cheese from Tasty Kitchen (egg and nut free) – Granted, this could easily be a main dish, but I think it would make a fantastic side, too! Side-dishes are interesting, because depending on the person and their personal tastes, they vary so much! However, for me, one of the best side dishes is vegetables. They’re healthy, versatile, and often very easy to prepare. That was my mindset when I created this dish. When it comes to the holidays – or honestly, any time of year – we’re usually pressed for time, especially when creating a big Christmas meal. This dish was simple to assemble, but presents very well and smells amazing when roasting. It’s also free of many of the top allergens. Perfect for Madison’s roundup! 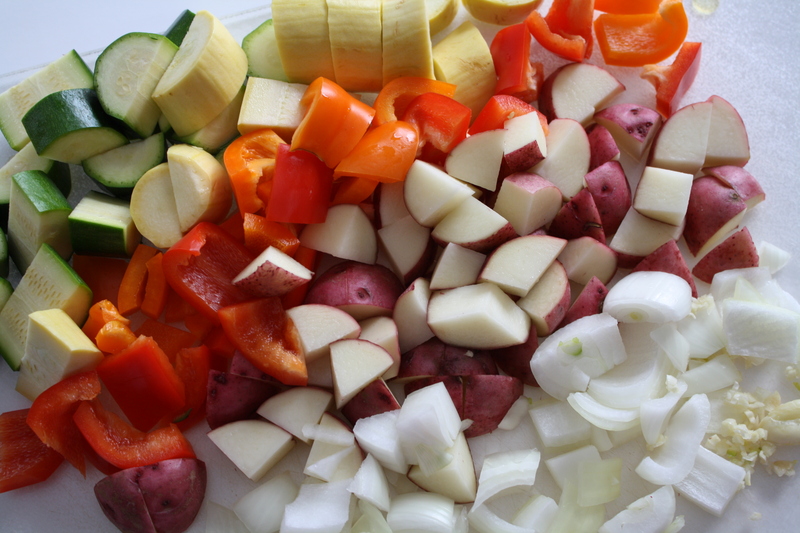 Chop veggies into uniform, 1-inch pieces. (This doesn’t have to be perfect – the main goal is to get them the same size so they cook evenly.) The garlic is the only thing you’ll want to dice. Toss them with olive oil and salt. Line a 13x9x1-inch baking sheet with non-stick tin foil, and coat with non-stick cooking spray. 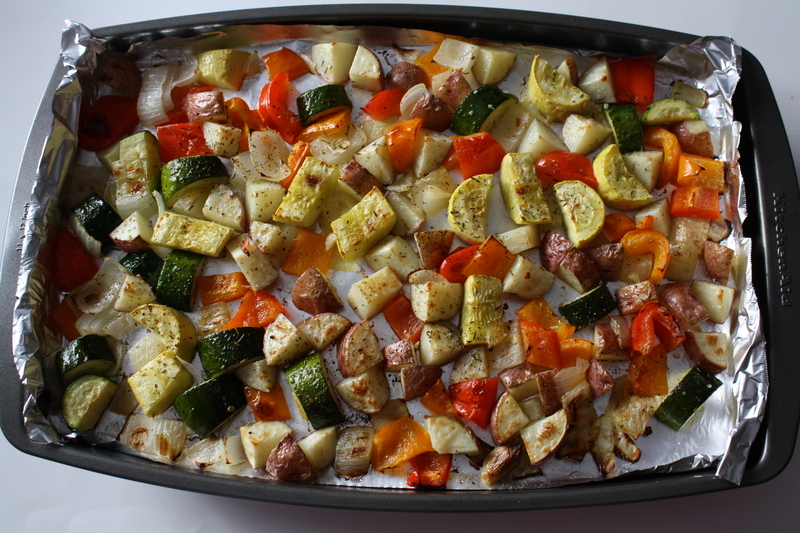 Place the veggies on the baking sheet, making sure they’re in an even layer with no overlapping. Sprinkle over the pepper, thyme, rosemary, and cayenne pepper. 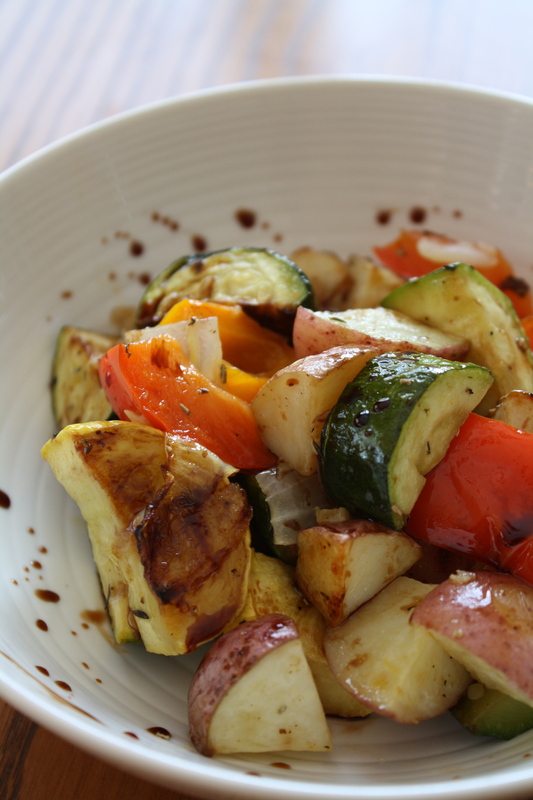 While the veggies are cooking, pour balsamic vinegar and honey in a small saucepan. Bring to medium heat, and cook for about 15 minutes, stirring often, until reduced in volume. Remove from heat and allow to sit for about 10 minutes, or until thickened. The thickening will occur on its own – no need to stir. When vegetables are done and still hot, put them in a big bowl. At this point, you can pour over the glaze, or put it in a gravy boat (or another dish) so people can serve themselves. 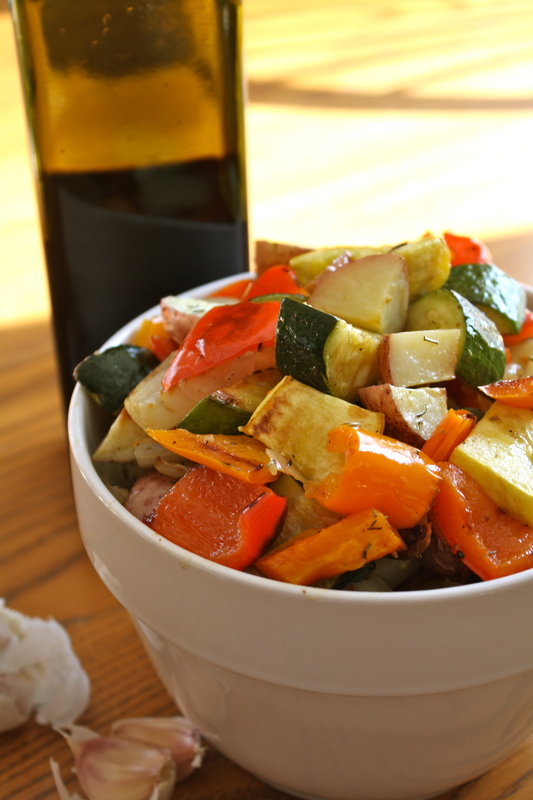 For a healthy side dish at your Christmas or New Year’s meal, try these roasted vegetables out! You can easily double or even triple the recipe to fit your feasting needs. Yum! I just made a roasted veggie dish for my sister’s Christmas dinner last night. But I need to try your balsamic reduction because that sounds amaaaazing. Great photos, too 🙂 Merry Christmas, Liv! Those roasted veggies look tasty!!! Actually a lot of the recipes you linked look really good!! So flipping delicious! I would eat the entire pan and then start whimpering because I would want MORE!!! lol! Veggies are my favorite side too :). Merry Christmas! Somehow I missed commenting on your round-up post! 😦 Whoops. 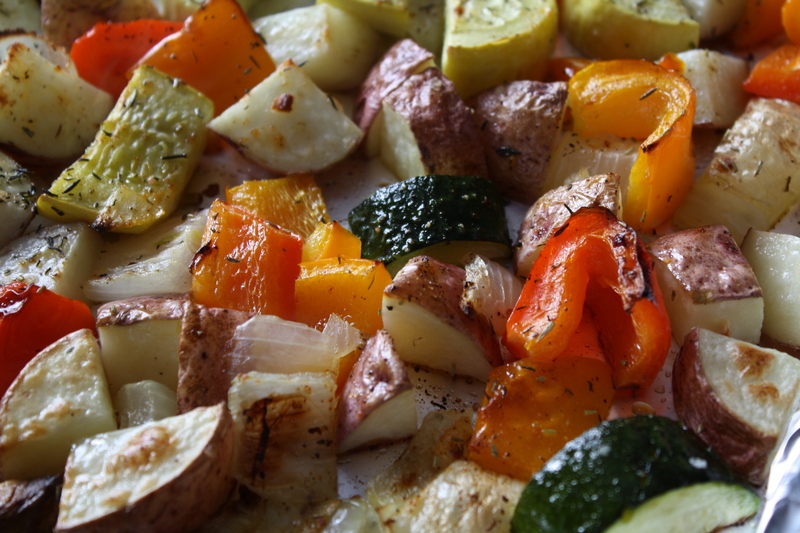 Your roasted veggies are so beautiful. 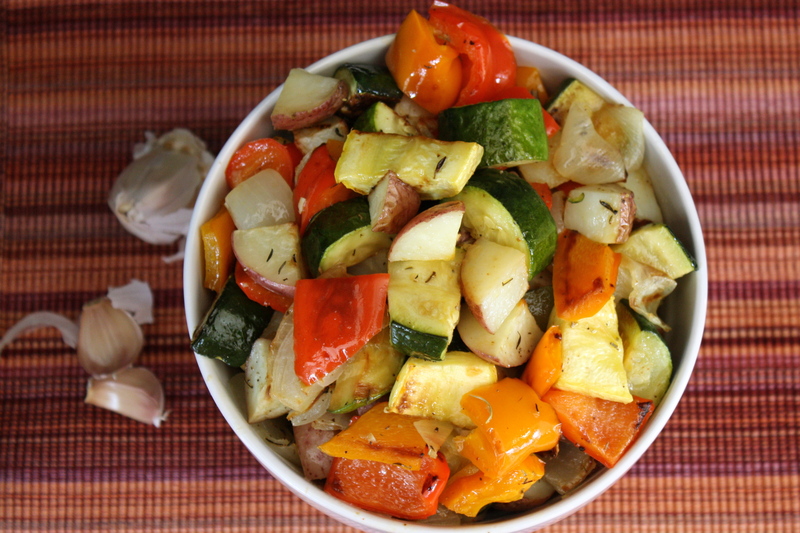 There’s something so simplistic, wonderful and colorful about straight up veggies. I love this post and your pictures. Aw, thanks! I agree, fruits and veggies are such pretty foods…to photograph and eat!